As many of you know, today was Papas, PJs, and Pancakes Day. 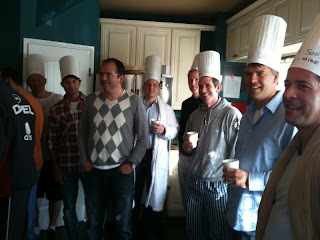 A few dads showed up early, but by the end of the flipping, the kitchen was completely full and coming down the hallway. Thanks for all of your help to make this happen. If I'm being honest, I think the hats made it all worth while... and the PJs. 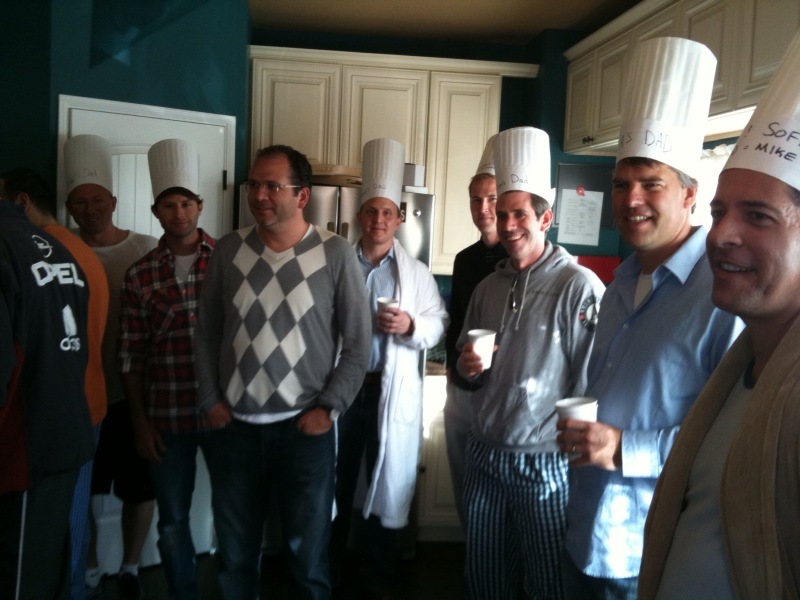 As you might notice, some of the dads must sleep in their work clothes... that has to get itchy. 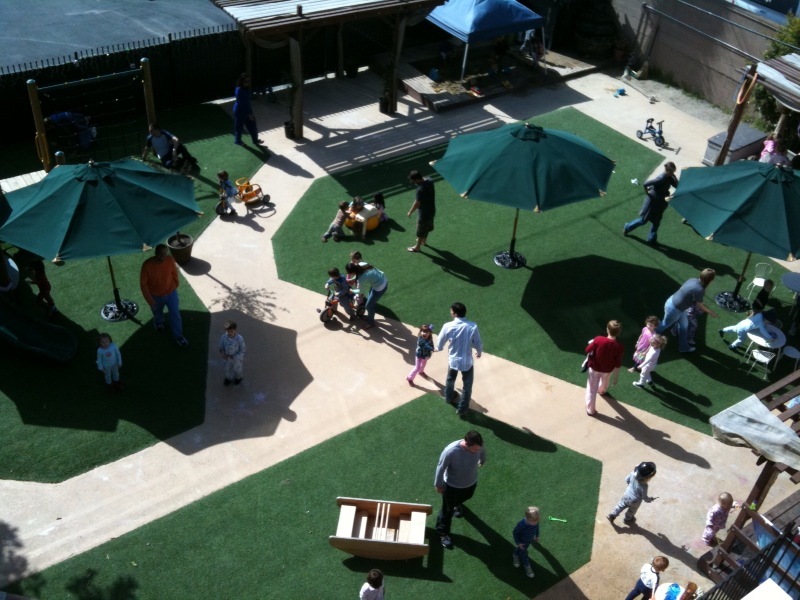 After about an hour of a syrupy sugar high inside, nearly the whole school (dads included) were playing on the yard. While I did disrupt Randi's group discussion upstairs, getting on the roof to get a shot of our Cassidy family on the playground was too good to pass up. In '09 Spring Break, Crys and I were looking forward to '10 Spring Break. It meant we'd have the building complete, Cassidy up and running, and have made it through 6ish months of school. Needless to say, we've far exceeded just being open. You all are an amazing group of parents and what we've all created together leaves me speechless. Take a second to think about it. You all were at ground zero with us when Crys just had an idea... crazy. Thanks again for everything. Have a great Spring Break. See you soon.